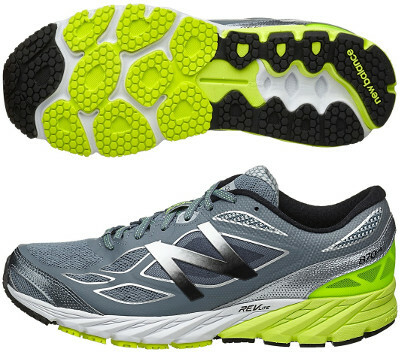 New Balance 870 v4 are stability performance running shoes. The New Balance 870 v4 is about moderation and versatility: moderate cushioning, moderate responsiveness and moderate pronation support. Suitable for distances from 10 km to marathon and everyday training. Although not as popular as its relative for neutral runners the 890 v5, the 870 v4 incorporates as well latest materials and technologies from the american brand. Current forth edition unveils no major change from its predecessor the 870 v3. The 870 v4 wraps the midfoot more effectively with internal strapping (similar to Saucony's Pro-Lock™ system) for improved fit. Also heel counter has been redesigned for better stability. Cushioning relies on full length REVlite midsole and ABZORB® crash pad for initial shock absorption and smoother transition. Outsole uses NDurance™ for superior durability in high-wear areas and forefoot has been redesigned to feature a more responsive ride.